THE Duke and Duchess of Sussex have been given a spooky welcome by young artists at a Halloween-themed event in Wellington. After another whirlwind day of their royal tour, Prince Harry and Meghan arrived at Courtney Creative in the early evening for the Things That Go Bump In The Night exhibition, celebrating the city's thriving arts scene. They were all smiles upon arrival, but reportedly got a bit of a shock after coming face-to-face with an orc - one of the terrifying creatures from the Lord Of The Rings franchise, which was famously filmed in New Zealand. 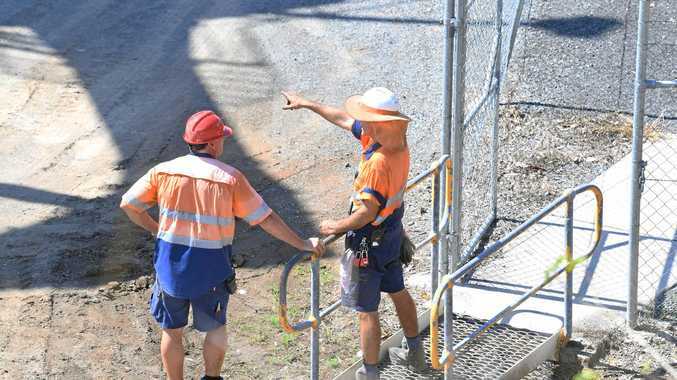 According to People magazine, Luke Hawker, the man dressed as the alarming creature, later told reporters: "I didn't know if I was supposed to shake their hand but they were standing there. They seemed quite scared." 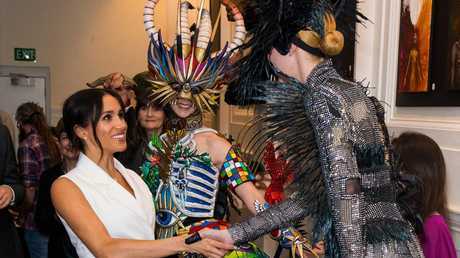 Upon arrival, the couple had been greeted by two men dressed as soldiers who were guarding the door, with photos and video from the event showing Harry and Meghan enthusiastically interacting with everyone in costume. 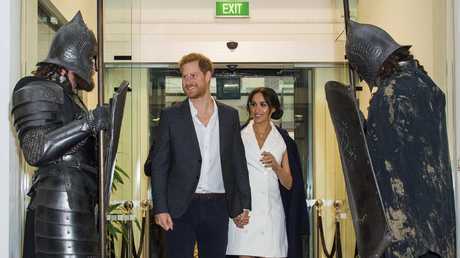 She may have missed the costume memo, but Meghan looked stunning nonetheless in an above-the-knee white suit dress by NZ designer Maggie Marilyn, with a navy Winser London coat over her shoulders, while Harry wore a dark grey suit and white shirt. Earlier in the day, Harry and Meghan met with a group of people from mental health initiatives at a local cafe, received a welcome ceremony at Abel Tasman National Park and went on a trail walk with rangers, then attended a barbecue with the park's young ambassadors.